This review is about item#39118335. It is making it sturdy. You can keep a motorcycle (bicycle) safely. I think it is firmer than I thought, I think that cost effectiveness is great. 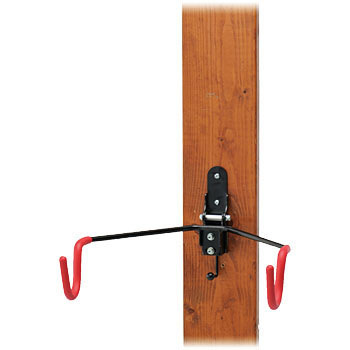 The ease of use is reasonable, but since the hook of the motorcycle hanger hits the wire of the bicycle, I thought it would be a better product if there was one ingenuity. The thing is firm and easy to use.